The Samsung Galaxy S3 is about the most anticipated device of 2012, and it was only a matter of time before someone got a hold of all the new features it comes with. The guys at XDA Developers have managed to get the device’s full stock firmware, and it is now up for grabs. Simply put, this is a gold mine for custom ROM developers. They will be able to take advantage of all software features, like Smart Stay and S-Voice. Devs are working on it as we speak, so let the fun begin. We will also be able to extract all those .apk files. People have already extracted S-Voice and it is working with other devices. It does seem to have its fair share of issues, though. It should mostly work with other Samsung smartphones. Users can download it here if they are feeling adventurous. 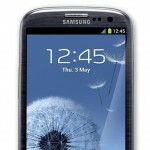 If you want to download all 786 MB of Galaxy S3 glory, just head over to the XDA Developers thread and have at it! At least to look around until we start seeing it being ported to all other devices.